Dedicated to the purpose of creating the lowest operational costs for the client’s business, this approach creates a working team of talents and resources most organizations do not have on staff. The design approach is from the inside out. First, defining the client's operational needs, then moving on to conceptualize the operation and layouts within clearly defined spaces, and then sizing and defining the building attributes. In the past, the difficulty has been to identify and recruit people and resources to meet these challenges and the full range of client needs — from start-ups and re-engineering of existing operations in a wide spectrum of industrial, economic and geographic diversity. In the context of this approach, our specialty is to assist architects, developers, and clients in designing facilities from the inside out, and then implementing the client-approved plans. The first step in this process is to completely understand operations, function-by-function, supported by historical and projected data validated by test and observations. Obtaining client agreement in this collaborative effort is the threshold beyond which we undertake the conceptual development of quantified designs and options. 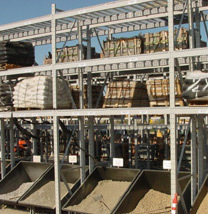 Improved productivity, controlled cost of future operations, high customer service levels, quality and security issues, inventory management, easily managed controls and disciplines are our chief targets. We help our clients get optimum usable space and facility attributes for their operations by teaming our talents with those of client and architect. 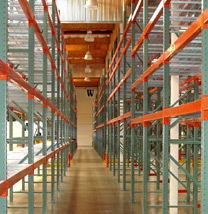 See How Toyota Material Handling Can Help You Create an Efficient Warehouse Space Today!